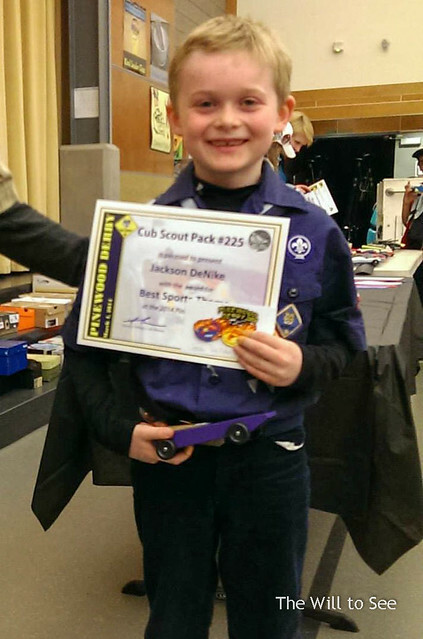 This week was Jack’s Cub Scout Pack’s Pinewood derby. Jim and Jack decided on a more simple design and a trademark color scheme. 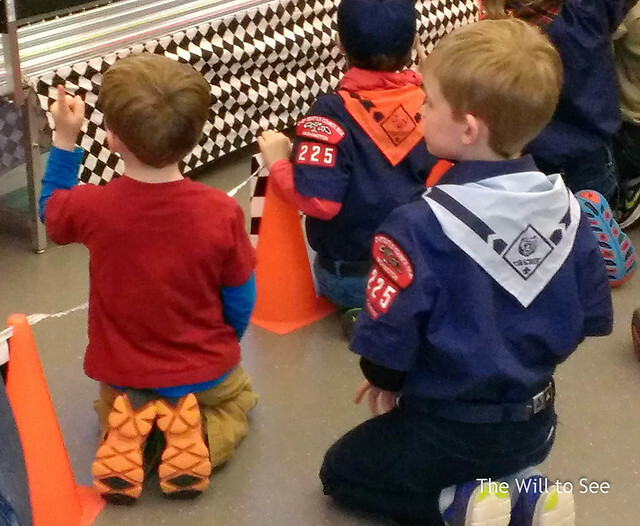 Will’s was a truck design. 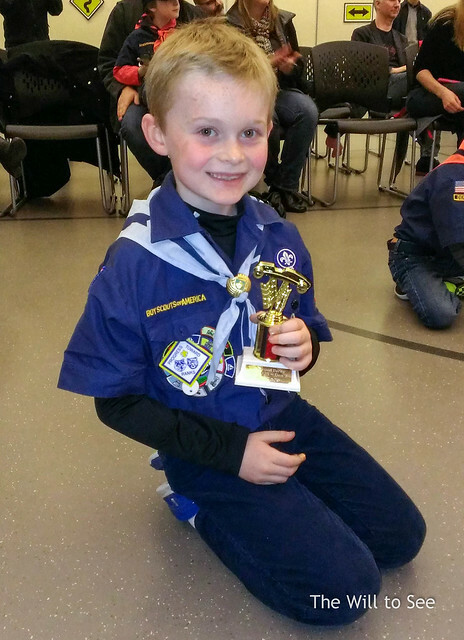 Jack ended up fifth overall and first in his den, so he got a trophy. He was very excited. In the race his car is in the far left lane.